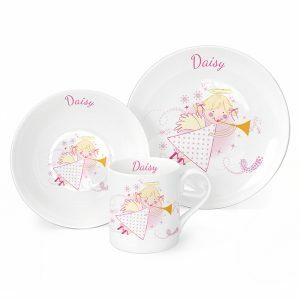 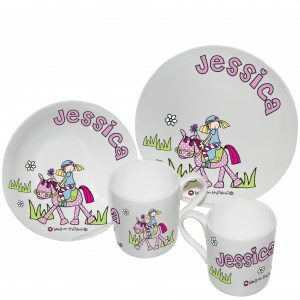 Our ranges of personalised breakfast sets are certain to make an ideal gift. 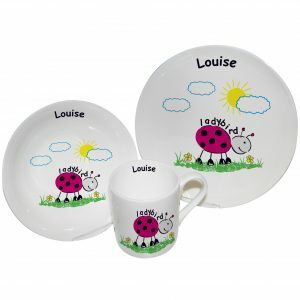 Many of our breakfast sets consists of 3 pieces which include a plate, bowl and cup. 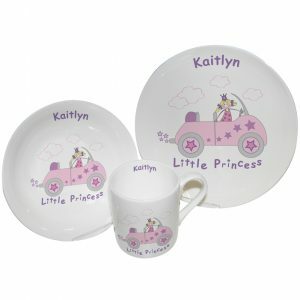 You can select from a variety of design from princesses to pirates. 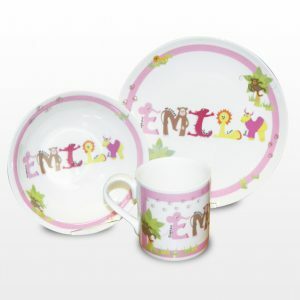 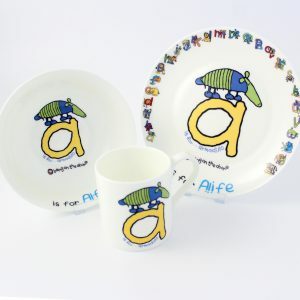 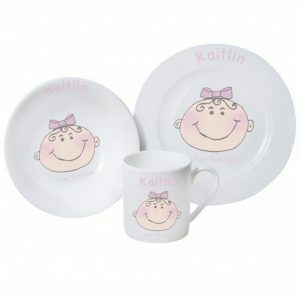 Many of our personalised breakfast sets make a great new baby gift. 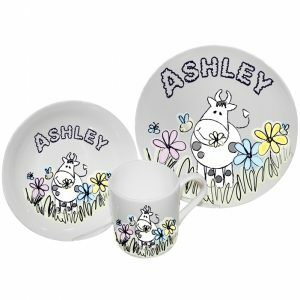 Giving a new mum something practical as a baby gift is always a plus, have some great plastic breakfast sets along with our china ones. 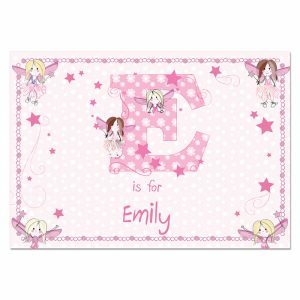 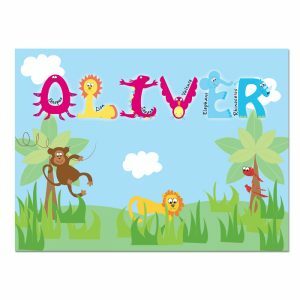 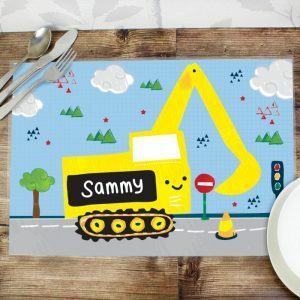 We have a lot of designs to select from including baby pink and blue, animal and alphabet themed. 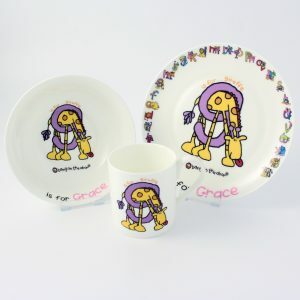 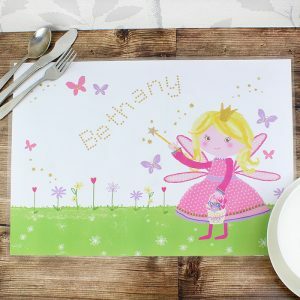 Each piece is personalised with images. 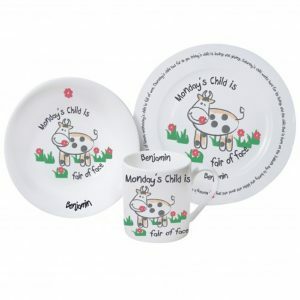 These sets would also be a fantastic little birthday present. 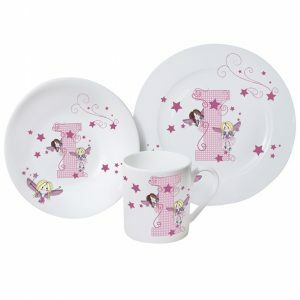 Select from our extensive collection of themes and then personalise it. 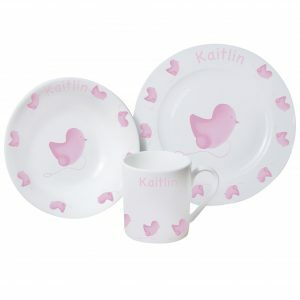 It’s something that they are going to love, and it’s a useful and substantial present. 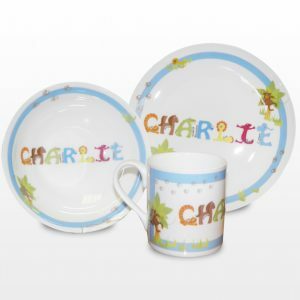 Perhaps you have a forthcoming christening, select from possibly a bold blue or a pretty pink pattern and personalise it with the receiver in mind. Christenings are such an extraordinary event, and consequently, it merits an exceptional gift that both the child and parents will adore! 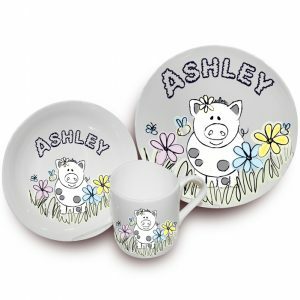 We have the best range of personalised breakfast sets at the keenest prices, thus saving you money and time.